Zamalek have completed the signing of ENPPI's forward Salah Ashour on a three-year deal, the club announced on Tuesday. The 29-year-old made 29 appearances last season, scoring three goals in all competitions. 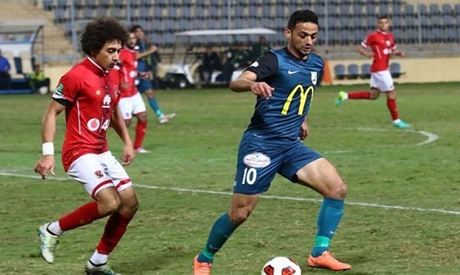 The former Ittihad El-Shorta forward has four international caps, having been called up to Egypt's squad when American coach Bob Bradley was in charge a few years ago. Ashour is Zamalek's fourth signing this summer after strikers Kabongo Kasongo of DR Congo, Ghanaian Benjamin Acheampong and Egyptian midfielder Ahmed Dawouda, who has recently joined from Maqassa. After a frustrating season that saw the club lose the league title and exit the Champions League from the group stage, Zamalek are looking to strengthen their squad before the new season.